If you or someone in your family has been injured in an accident in Toronto, you should contact a personal injury lawyer. It’s that simple. The harm caused may be either physical or mental – it still qualifies as a personal injury. What if the injury is minor? One of the biggest reasons that many people don’t contact an injury lawyer right away is that they feel that their injuries are not serious enough to warrant it. The problem with this type of reasoning is that you may not really know the full extent of your injuries immediately following the accident. They may not be as minor as you think. Some injuries don’t manifest right away, but contacting a personal injury lawyer immediately after an accident is in your best interest anyway. A lawyer can give you advice on keeping track of your medical bills and records, counselling appointments, and all of the details that affect your case. What steps will my lawyer take? Your personal injury lawyer will negotiate on your behalf when major insurance companies and lawyers for the at-fault party might try to bully you. Lawyers deal with thousands of these cases and know what’s fair, and know how to get that for you. They understand the fine print, and have handled the insurance forms before. What information will I have to share with my lawyer? 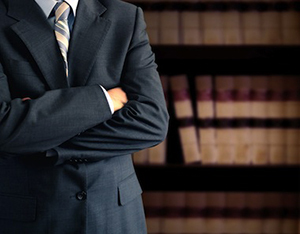 When you meet for an initial consultation, your lawyer will want to get as many details from you as possible. They will want to know about the nature and extent of your injuries including any available doctor’s reports as well as your financial information such as how much income you were earning prior to the accident and whether or not you are able to continue earning that income with your injury. They will want to know about your medical expenses to date, and what future medical expenses are anticipated. By sharing the details of your case in confidence with your lawyer, you can learn how the law is on your side to defend you and provide you with an award that suits your needs. Your lawyer can advise you on how to communicate with the other parties involved, and can support you when those parties challenge your case’s validity. At the very least, it is a good idea to meet with a personal injury lawyer to discuss the details of your case to see what can be done. Even if you do not proceed with a civil suit, you will have the knowledge to get through the circumstance. By contacting a personal injury lawyer in Toronto, you will be on your way to understanding your rights, and you’ll be better equipped to fight for them.